The Hotel Raratonga is a small cosy hotel managed by an italian couple. It features private rooms and fully equipped kitchen apartments ideal for couples, friends and family, swimming pool. 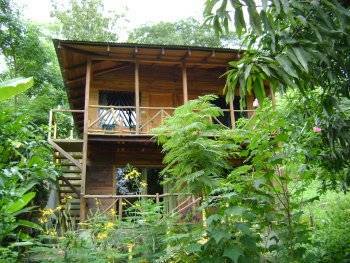 It is a very quiet place made for those who love to relax during their vacations, but still having everything you may need pretty close. 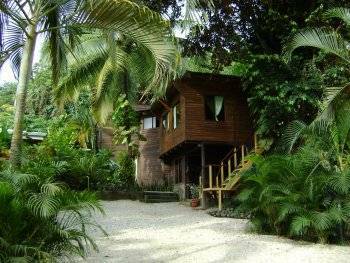 We are in one of the most truly Costarican area of Santa Teresa. No ugly buildings or shopping centres in the surrounding, only the taste and sound of the " Pura vida ". The hotel offers check in and attention 24 hours. Also tourist information and excursions/transportations arrangements, taxi call, laundry service on site at a charge, bike, atv's and car rentals arrangements. 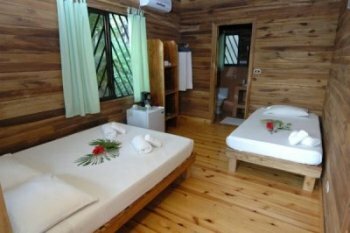 The private rooms can be for 2 or 3 persons, having one queen bed and a single bed. 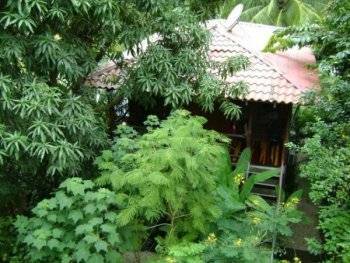 The room is provided with A/C, ceiling fans, private bathroom with hot shower, mini bar, coffee maker, closet, safety box , free wireless internet , orthopaedic mattress, white sheets and towels, 110 v and 220 v outlets. Daily maid service A third person is admitted in the room for the small charge of $10 p/night once you get here. Please note that rooms have no kitchen facilities in high season. During low season a kitchen would be open for the guests to use in between 7am and 9pm. The apartment * has one separate bedroom with a queen bed and 2 single beds in the living room. It can be for a maximum of 4 persons(please not that in this case 2 persons will have to share the queen bed)Each room has its own A/C and ceiling fans. 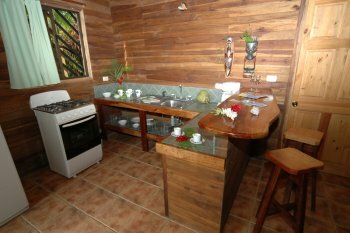 The apartment also has a private bathroom with hot water, a fully equipped kitchen with coffee maker, stoves with traditional oven, fridge and freezer and all utensils to cook, safety box free of charge, wireless internet . Also has a large patio with table and chairs outside. *. One of the apartment comes with 2 separated bedrooms, so please indicate your preference and we will try to accommodate you in that one if possible. For cancellation 14 days to 24 hours prior arrival date 50 % of the total amount will be charged. 100% of the total amount will be charged in case of no-show. 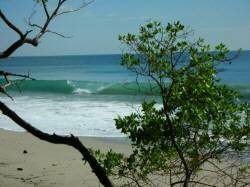 We are in Playa Santa Teresa situated in the south of Nicoya Peninsula of Costa Rica. The hotel is situated 3 km north from the cross of Malpais, 300 mts after 'Lora amarilla' saloon. All of the above we can arrange for you. Just reserve and we will contact you with a confirmation and information about transportation options.